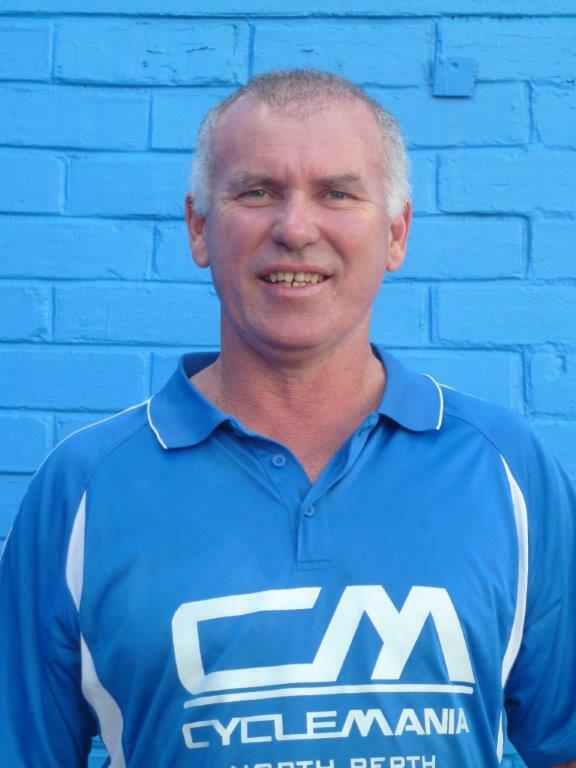 Wayne has been a member of the Northern Districts Cycling Club since 1992 and is actively promoting junior development in cycling. He was the manager of the Satalyst/Giant Racing Team, having started the team in 1998. It became the only registered pro team in WA and one of only 4 in Australia at a Continental level. 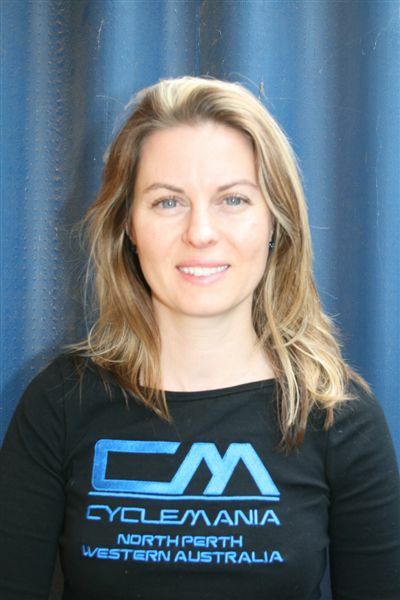 Wayne and Melissa are the Directors of Lion Sports Management whereby Wayne is the manager of notable star cyclist on the international stage including Cameron Meyer and Sam Welsford. See website for details- lionsportsmanagement.com. Wayne has officially received his accreditation as an approved UCI Rider Agent. Wayne sat the exam and subsequent practical work case in 2011 at the UCI headquarters in Switzerland. This accreditation enables Wayne to be legally permitted to act as a professional Cyclist’s agent and negotiate their contracts with the leading professional cycling teams of the world. Wayne is a shareholder in Verve Cycling, who produce a power measuring device called InfoCrank. InfoCrank is one of the world’s leading power measuring devices for the bicycle world, and supply British Cycling and the AIS. Check out more info on facebook.com/VerveCycling or www.vervecycling.com. 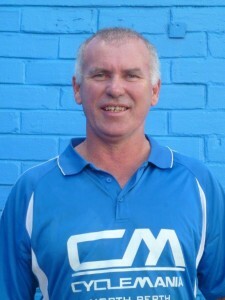 Lastly Wayne is a level 2 accredited coach under CA and has coached many cyclists to national and state medals. Melissa is Wayne’s wife and co-owner of Cyclemania. Her role is book-keeping and all things administrative. Melissa and Wayne became proud parents in 2014 therefore Melissa juggles working from home and being Mum. She loves to ride her bike for leisure and tries to keep up with Wayne and their little girl who love’s riding in her baby seat behind Dad. Barry is a casual staff member and a father of three late teen boys. Barry is a passionate road cyclist and competed in his first road race over 30 years ago. 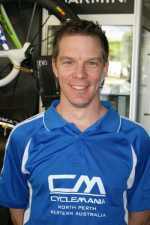 He has represented WA in various National Senior Road Titles in the late 1980’s, up to 1990. During that time Barry was a regular scratch rider in all of the state’s major road handicap races. Barry’s other interests include formula motor and moto GP racing and helping his boys develop in adulthood. Barry has 7 years industry experience and duties include bicycle mechanics, bike building and serving on the shop floor. The Cyclemania Saturday shop ride is run by Barry and he likes to assist beginner riders, hoping to give those new to the sport the benefit of his experience. Make yourself know to Barry if you are new to the shop ride or have just come back to it after a break. Currently Barry runs his Power Based Interval Sessions on his Wattbike. This is a stationary bike that measures power output, gives information about pedal parameters and other power based training and research. For more information find details on Power Based Interval training HERE or contact Cyclemania on 9444 3483 and speak to Barry. Jayden started cycling 5 years ago and commenced racing A grade open from the start of 2016 with a few top 10 results already in the summer crits. He was a state representative in 2014/2015 and is currently a Satalyst Verve team member. Jayden is a cycling tech head who is always into the latest gadgets and technology. 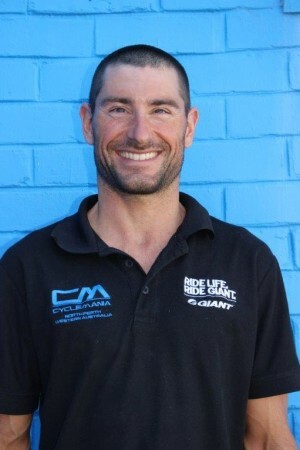 Simon Billeau is our resident Triathlon expert at Cyclemania. Simon started competing in triathlon in 1999 and turned professional in 2008. His PB is 8h20 on an ironman. He has a Masters qualification in Sports Science in France. Simon also writes for a French triathlon magazine, Trimax, about the latest triathlon and cycling gear. 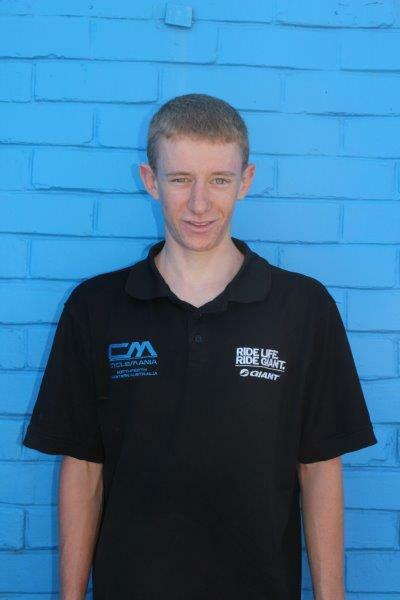 He has recently started the first Professional Triathlon team in WA called BetterTriUs. The aim of the team is to support some of Australia’s well known and emerging Australian triathletes and multisport athletes. The team has its roots in Cyclemania as the shop is the centre for all their servicing needs. Ian is the creator our of website and our on-line store as well as attending to our frantic calls when we experience problems with our computers, Ian also maintains the website and the online store, and his diversity in a range of areas has all our bases covered. We love that he is super reliable, efficient, is an all round nice guy and talks our lingo when it comes to communicating and understanding our IT needs.